Born in the 1960s and raised with traditional values in Robinson, Illinois, Dennis desperately wanted romance, a beautiful wedding, and a baby to carry on the family name. He denied his sexuality and married a woman at nineteen years old, but fantasized of weddings where he could be the bride. The newlyweds “adopted” a Cabbage Patch Doll and ironically witnessed a Cabbage Patch Doll wedding (a successful fundraiser staged by a local women’s club) where the dolls were granted the type of grand ceremony off-limits to gay couples. 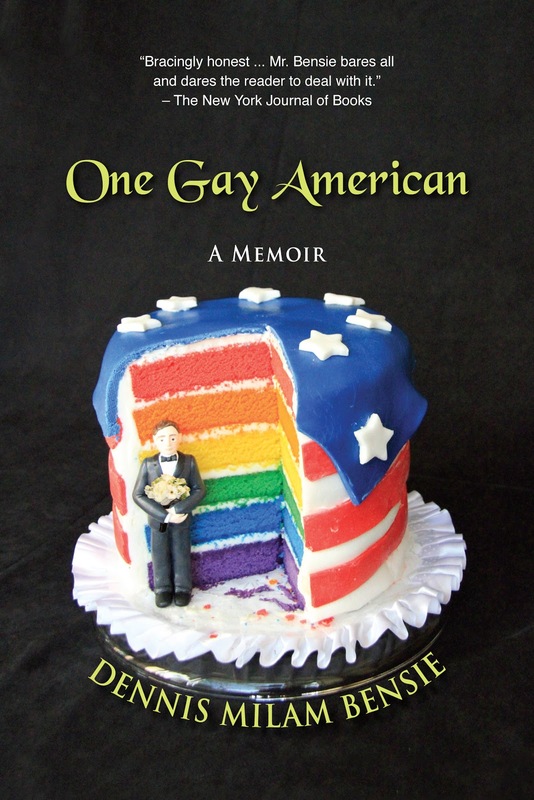 In search of his identity as a gay man, Dennis divorced his wife and stumbled through missteps and lessons that still sting his generation: defending against bullies, “disappointing” his parents, and looking for love in gay bars, bath houses and restrooms. He helped his straight friends plan their dream weddings and mourned his gay friends dying of AIDS. Although true love has not yet come his way, Bensie has learned to love himself. Dennis' story is told with parallels to gay history, decade by decade, with newspaper headlines and quotations. Add your review of "One Gay American: A Memoir" in comments!